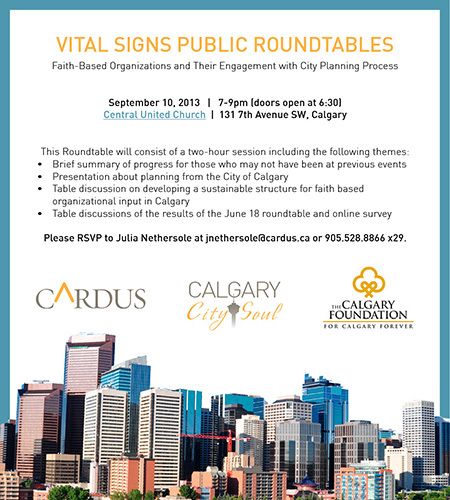 The second of three roundtable consultations on faith-based organizations and their engagement with City of Calgary planning processes. Recent City Council approval of amendments to the Centre City Plan now leave room to consider how these ideas may be applied beyond the downtown. Recent City Council approval of amendments to the Centre City Plan now leave room to consider how these ideas may be applied beyond the downtown. This will include discussion of how the process can be sustained over time. 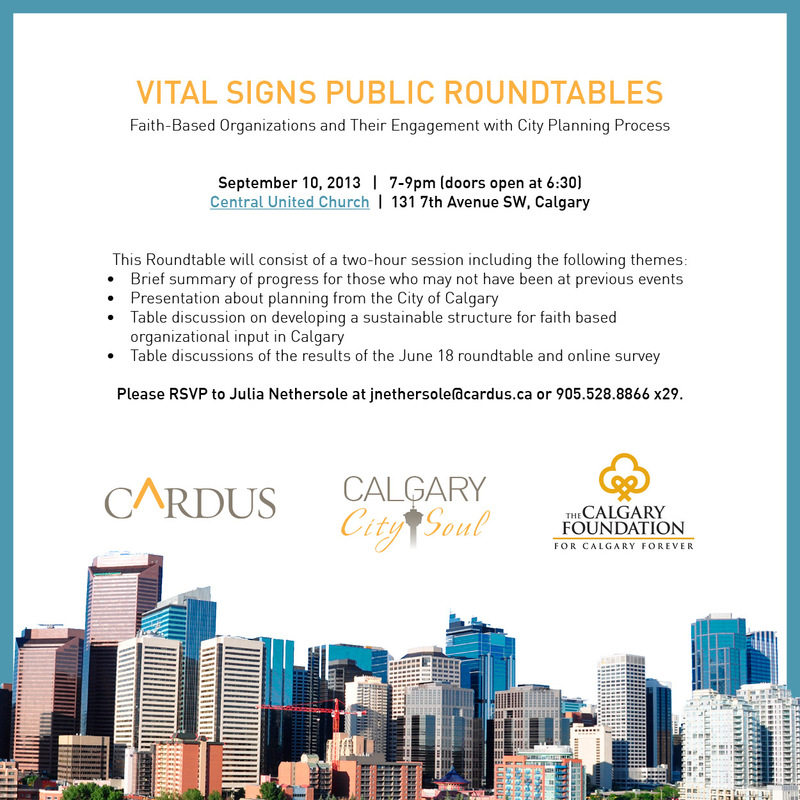 Cardus has already done research in this area. We welcome your participation in this discussion-oriented meeting.